Hetepheres was closely bonded within the royal family (she is thought to have been the daughter of Huni (last ruler of the 3rd dynasty)), she was also the sister and wife of Sneferu and the mother of Khufu. The queen must have been a prominent royal and must have had considerable power in her own right). She is thought to have died during the reign of her son (Khufu) and was initially buried at Dahshur. Soon after her burial, however, her tomb was plundered by tomb robbers. 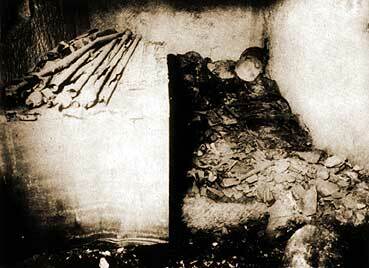 Her surviving funerary goods along with her sarcophagus was transferred to a more secure tomb near to Khufu's pyramid. 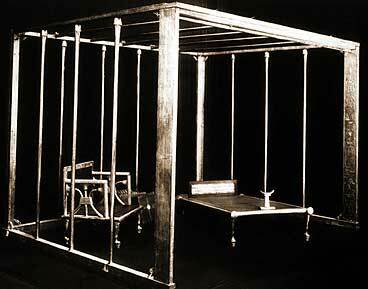 a large, dismantled, canopy bed; two armchairs; a bed; a carrying chair; smaller items in gold. copper and alabaster (including a manicure set); and perhaps most excitingly an unopened sarcophagus and canopic chest. The canopic chest, however, was not empty - it contained four packets of viscera. 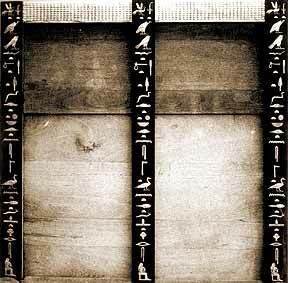 So if her canopic chest was there, why wasn't her mummy? Reisner himself suggested a possible reason - if her original tomb had been robbed and her mummy destroyed at that time, her sarcophagus was sealed and the truth withheld from Khufu about mother's fate (to prevent him from suffering further grief). (picture from the tomb - museum of fine arts Boston, pictures of objects from the tomb - Cairo Museum).